R Joyce Coleman Age 91, passed away in the presence of family on Friday November 9, 2018 just short of her 92nd Birthday. She was born November 15, 1926 in Yakima Washington to Delbert McLain and Blanch Oliver. She was preceded in death by her beloved husband Frank, sons Robert and John. She is survived by her son Frank Jr., Daughter-in-laws Lena and Sue, Grandsons Andrew and Ben, Sister Marlene, Brothers Bob and Don, and a great-grandson and granddaughter. She was a resident of Seattle for over 78 years after moving from Yakima and lived a majority of her life in West Seattle which she considered her home. 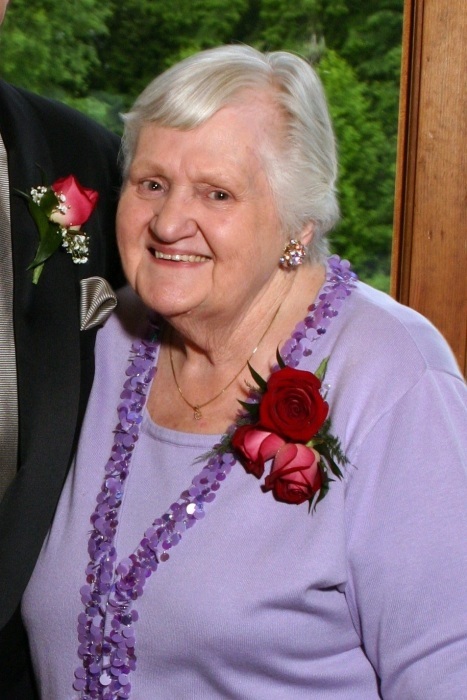 She attended and was a member of West Side Presbyterian Church for over 65 years. Joyce was a telephone operator prior to meeting Frank and getting married. After Frank retired, she went back to work at Seafirst Bank in the Mortgage Banking Department and Frank drove her to work or the bus stop every day up until she retired. It was time they shared and enjoyed especially at Christmas so they could shop at Fredrick and Nelsons, Nordstroms and Macys. She will be interned in a private gathering at Tahoma National Cemetery where she will join her beloved Frank. A gathering will occur after the holidays for family and friends to share and get together in her honor. Special Thanks to the staff and nurses at Providence Hospice and Home Care of Snohomish County for the loving care and assistance in her final days. In Lieu of flowers donations may be made to this group of wonderful people and facilities.